In this episode, Jeff tastes two Chardonnay samples from the same year, vineyard, and winery. The difference? One of them was aged in a concrete egg! 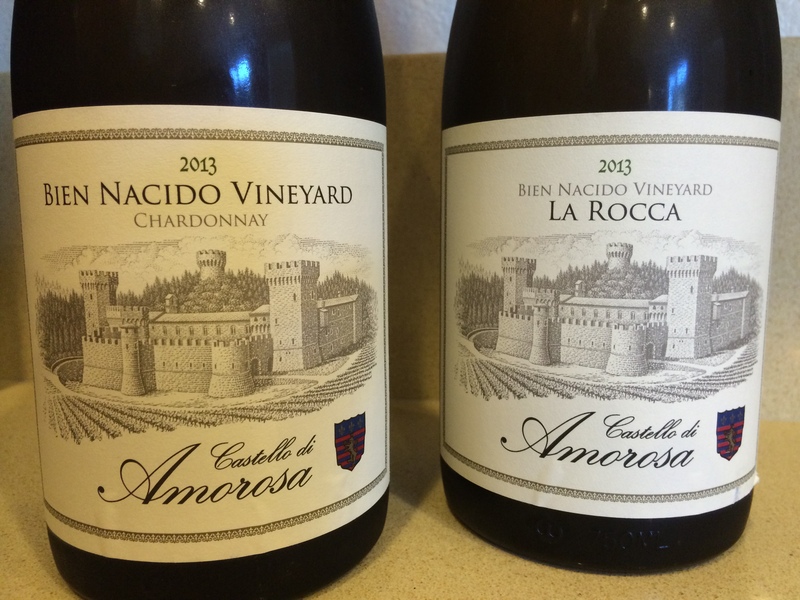 Note: Both these samples were provided for review by Castello di Amorosa. 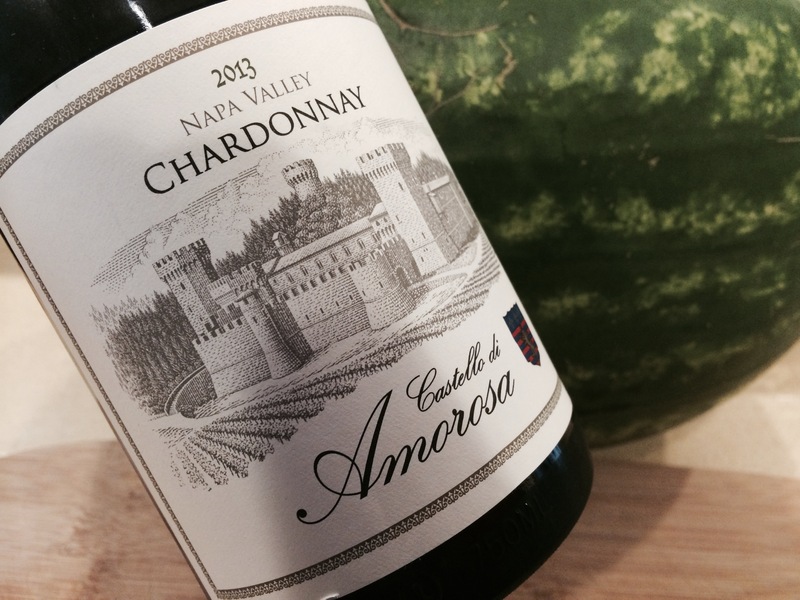 Jeff was recently sent 3 bottles of Chadonnay for review from Castello di Amorosa. Let’s see what this first bottle has in store. What’s the last Chardonnay that blew your face off? Leave a comment, and let us know. Hey… I forgot to give you a score! This Pinot Noir is an easy 91. Easy. 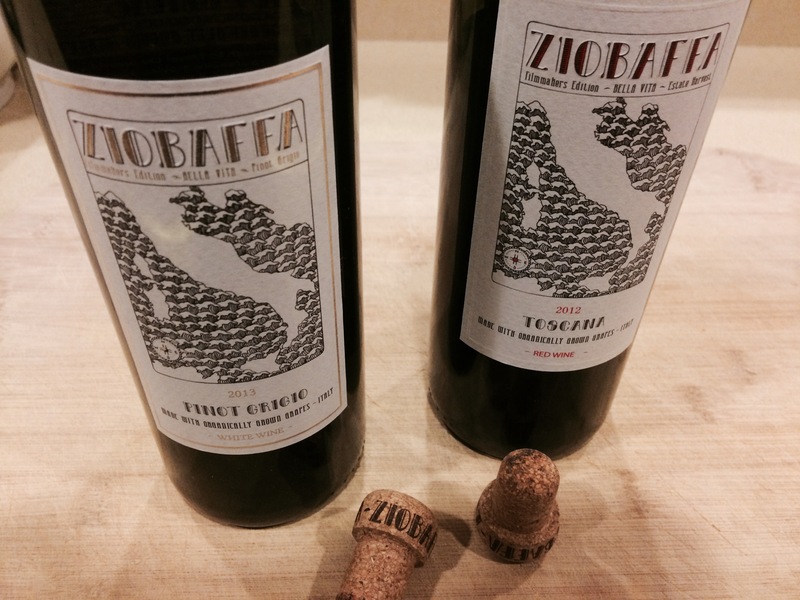 What’s your favorite 10 – 15 dollar Italian wine right now? Leave a comment, and let us know. For me, the tumbler represents a relaxed vibe. Yes. I know that there is a difference in your abilities to perceive aromas and flavors when drinking vessels are switched up, but sometimes wine ain’t about all that. Sometimes you just want to sit back on your patio with some good food, wine, and company… and just enjoy the moment. Thank you for the food, Safeway. 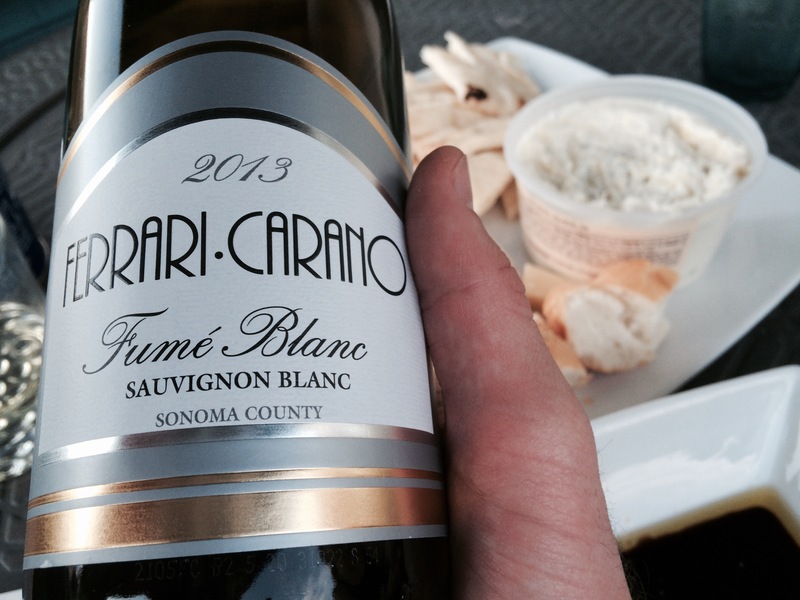 Thank you for the wine, Ferrari-Carano. Thank you, Parker, for going to bed early so your mom and I could enjoy this beautiful evening. What’s your spring time patio wine? Who are you sharing it with? Leave a comment, and let us know. 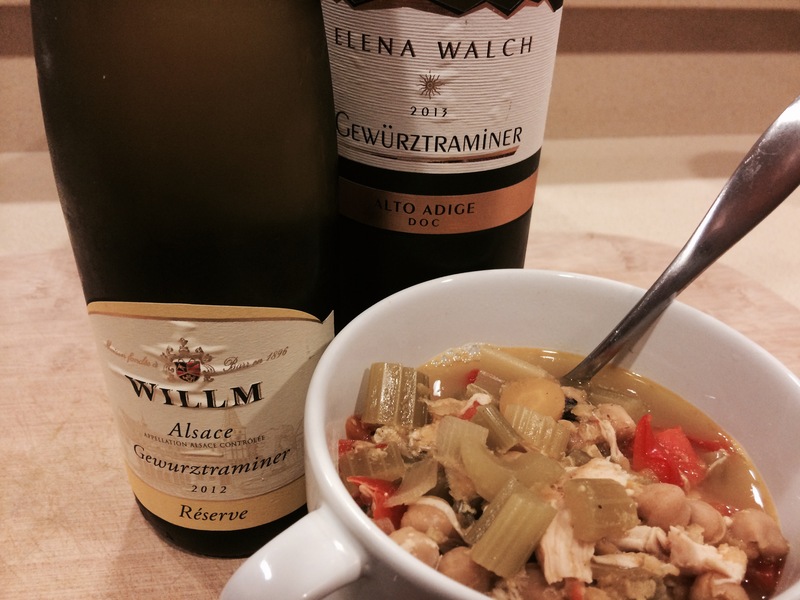 In this episode, Jeff pits two cool-climate Gewürztraminer samples against each other. What’s your favorite Gewürztraminer? Leave a comment, and let us know. 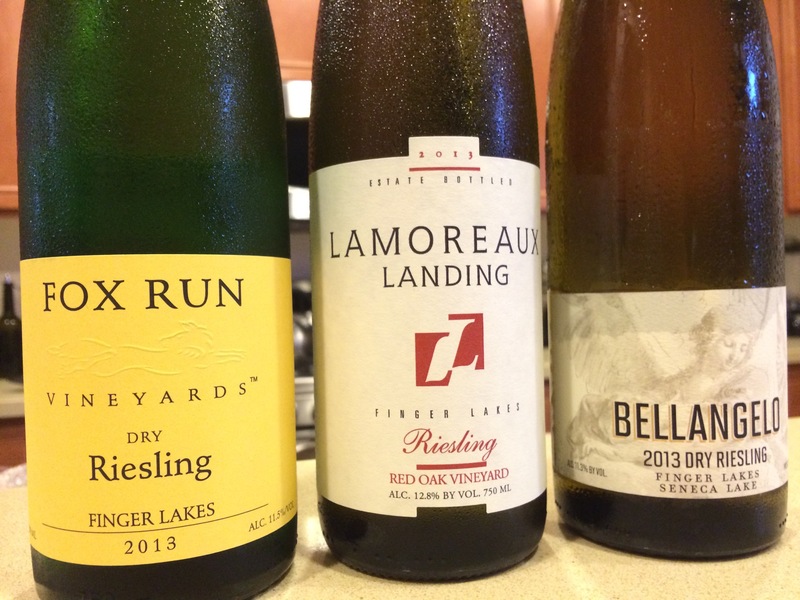 In this episode, Jeff explores the 2013 vintage of #FLXRiesling. 2012 Finger Lakes Riesling from Fox Run Vineyards, Lamoreaux Landing, and Villa Bellangelo. Which bottle of #FLXRiesling is up your ally? Leave a comment, and let us know. It’s that time of the year everybody! It’s time for the Rad List! 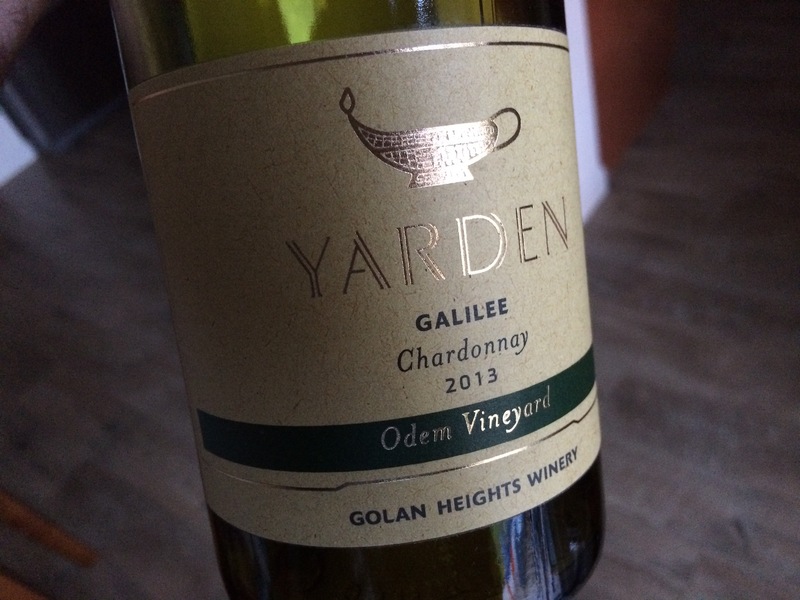 What you are about to read is an alphabetical list of my most memorable wines from 2013. These are not necessarily the top scoring wines that I tasted in 2013 (for that, just take a look at my Rad Wine Reviews page). These are the wines that were delicious, thought-provoking, and just plain rad. Along with each wine, I’ll give you the reason why I picked them, as well as my original tasting notes. Another tasting with my old buddy, Dave TheVegetarian. Another knockout wine. Dave and I both grew up in the Santa Cruz Mountains. I’ve been such a big fan of Cornerstone over the years. 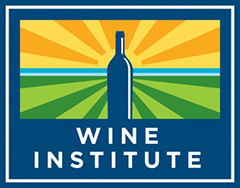 You have got to try their Oregon Pinot Noirs and Chardonnays. Always fantastic. 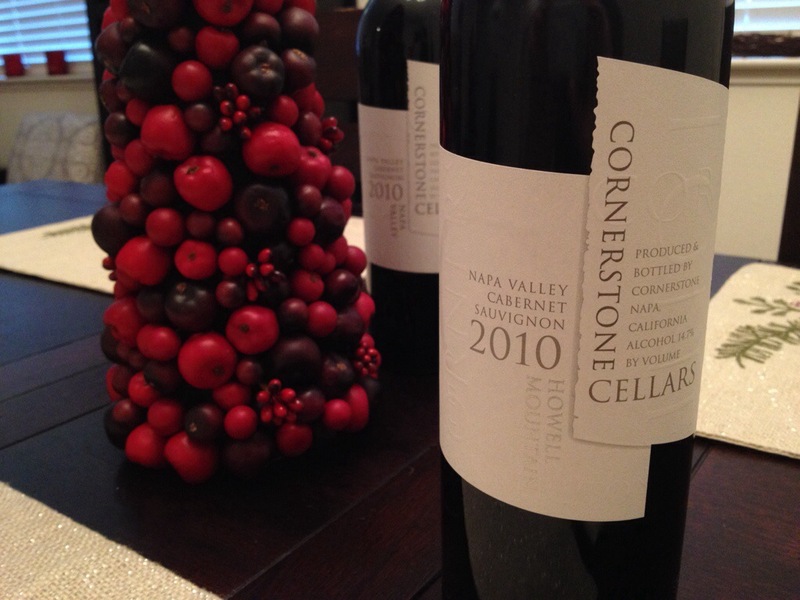 But… The power, balance, and structure of their Napa Cabernet Sauvignon is where their proverbial bread is buttered. So… When I had the opportunity to taste their 2010 Napa Valley and Howell Mountain efforts side-by-side, I jumped all over it. Color: Light rusty burgundy red. Nose: Bacon and mushrooms up front, followed by a juicy strawberry component. Taste: Ripe strawberry on the front palate gives way to leather and mushrooms. There’s a nice touch of black pepper that is sprinkled throughout. Score: We were all impressed by the longevity of this wine. There’s a great acidity to this wine that, along with the balanced backbone of 14.5% alcohol, that kept this wine quite fresh some 15 years after bottling. 93, y’all! One of my favorite parts about doing this blog is the great number of friends I’ve been able to make in the wine and wine-blogging community. One such wine-blogging friend is Jeff Eckles of TheLonelyVine.com. He’s a Denver Broncos fan. I’m a huge San Francisco 49ers fan… But you knew that already. If the Broncos went further in the playoffs, I would send him a bottle of wine from California. If the 49ers went further, he would send me a wine from Colorado. The 49ers, of course, went farther. Incidentally, Jeff and I have the same bet going on this year too. Follow us on Twitter (@JeffIsRad and @JeffEckles) to see trash talking live on game day. 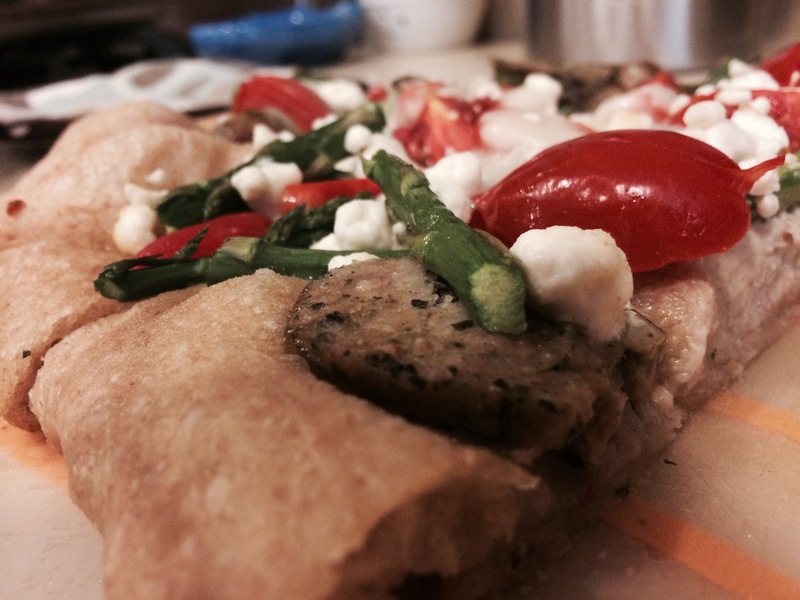 Last year, I made a half-assed attempt to create my own wine day. The idea was that the Sunday before the Superbowl would forever be known as #StayRadDay (A day to celebrate family, friends, wine, and this blog… A bad idea… I know). Now… Although my attempt at making my own wine day fell flat, this Cabernet from Long Meadow Ranch saved the day. You know that I am a big fan of Rhone-style wines. You also know that I’ve been loving the value and quality of wines coming from the Languedoc-Roussillon in Southern France. When I see a seven dollar Languedoc composed of the popular GSM Rhone blend of Grenache (50%), Syrah (30%), and Mourvedre (20%), you know I’m going to be all over it. Hells to the yeahs, it does! Note: I opened, and poured, this wine a good 45 minutes before tasting it. Color: A dense, and inky, deep ruby red. Nose: Beautiful notes of dusty chocolate with fresh strawberry, raspberry, and blackberry fruits. 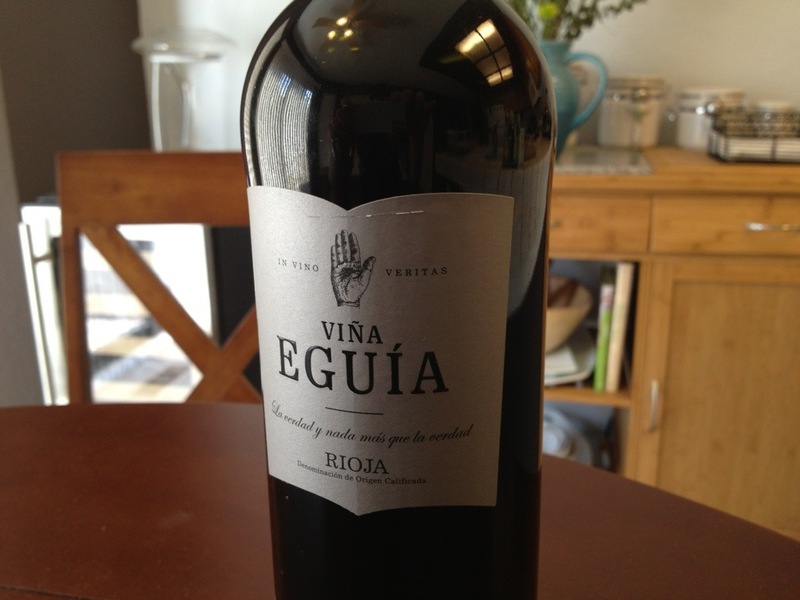 Taste: Though young, this wine has a medium body of very soft, and approachable tannins. The front palate starts off strong with dense and brambly fruits of blackberry and dark cherry, which transition nicely to a mid-palate of cranberries and orange zest. On the finish, these fruits begin to raisinate, and show off a wonderfully long, acidic finish. And I almost feel bad scoring it that low. My only reservation is that this wine appears to lack the ageability of a truly fine wine… But… C’mon guys… This wine is what it is. This is a fantastic wine that is ready to be consumed right, the F, now… And the great part is that you can find this at your local Trader Joe’s… Right. The F. Now. Of course, if you shop at my local TJ’s, you’re gonna have some trouble finding it. I’m buying them all up. Right. The. F. Now. Color: As older wines go, it has still retained a lot of its red color, though it does get brownish orange near the edges. Nose: Beautiful notes of menthol and tobacco leaf with one of those dried out oranges decorated with cloves. 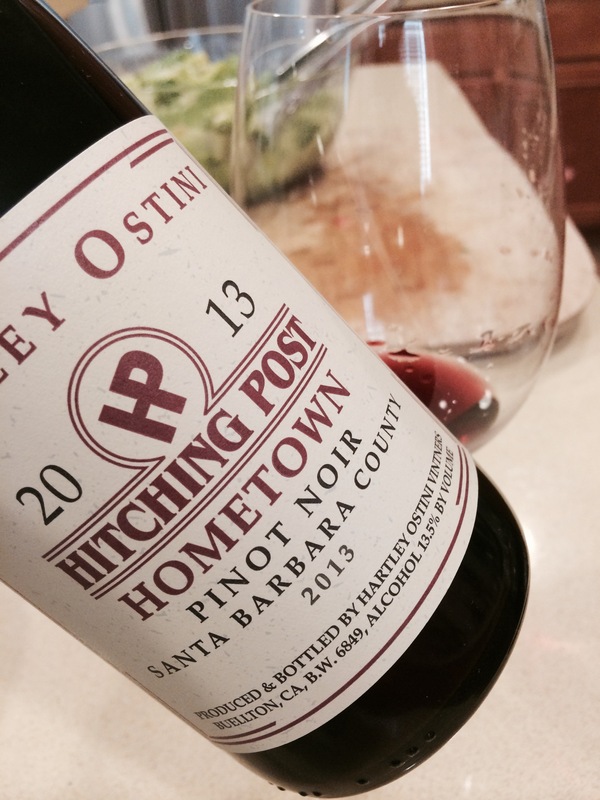 Taste: On the palate, this wine is straight herbaceous. Forest floor and tobacco leaf for days. There’s a nice note of dried cranberries that gives an impression of sweetness to this dry wine. 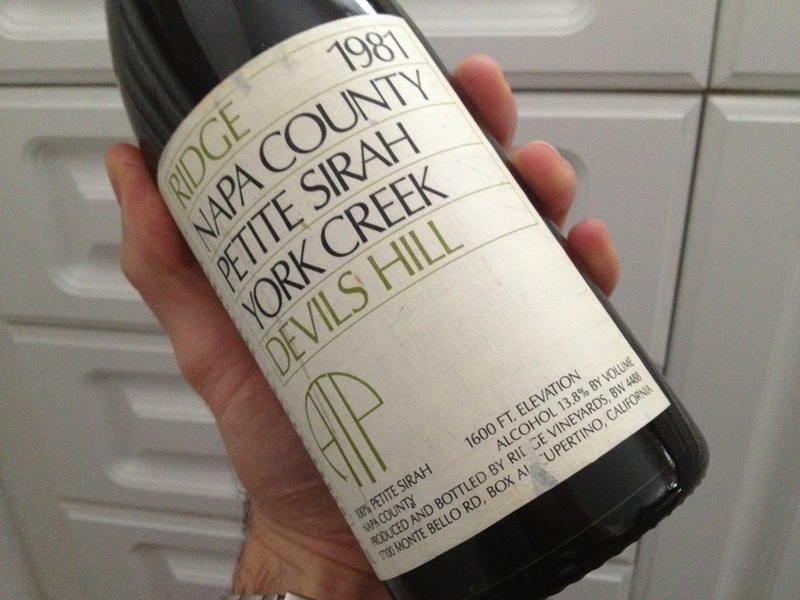 Score: What is most impressive about this Petite Sirah is that 32 years later, the grapes are still bringing these massive tannins. My feeling is that the wine has the structure to go another 10 years. This wine is massive, yet subtle in its complexity. Does anybody else have one of these bottles they’d like to share with me? 94, fa sho! Twomey is the sister label of Silver Oak. With a slogan like “Life is a Cabernet”, it would be kind of weird to see a Silver Oak Merlot or Pinot Noir. 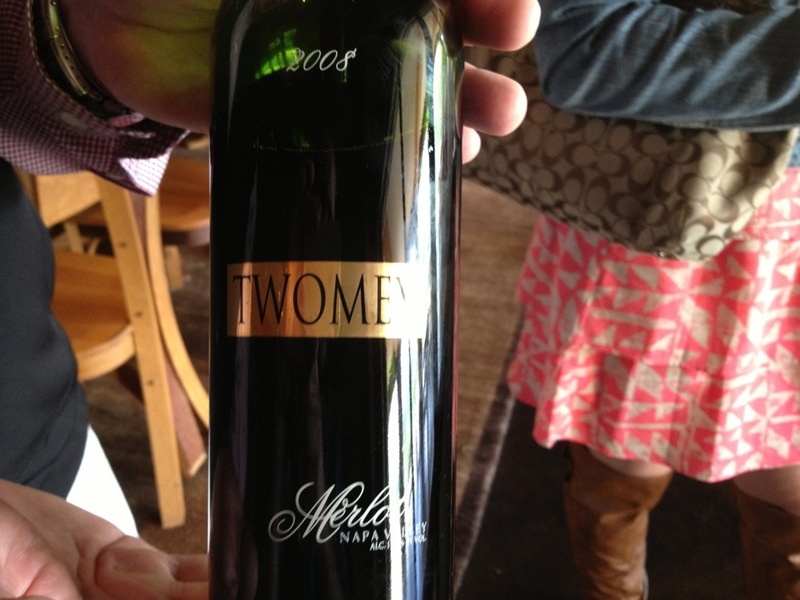 This Twomey Merlot is their ode to the great wines of Pomerol in Bordeaux, France. As such, this wine has been aged on French oak. It costs $50. Nose: Blackberry fruit with hints of vanilla and spice. 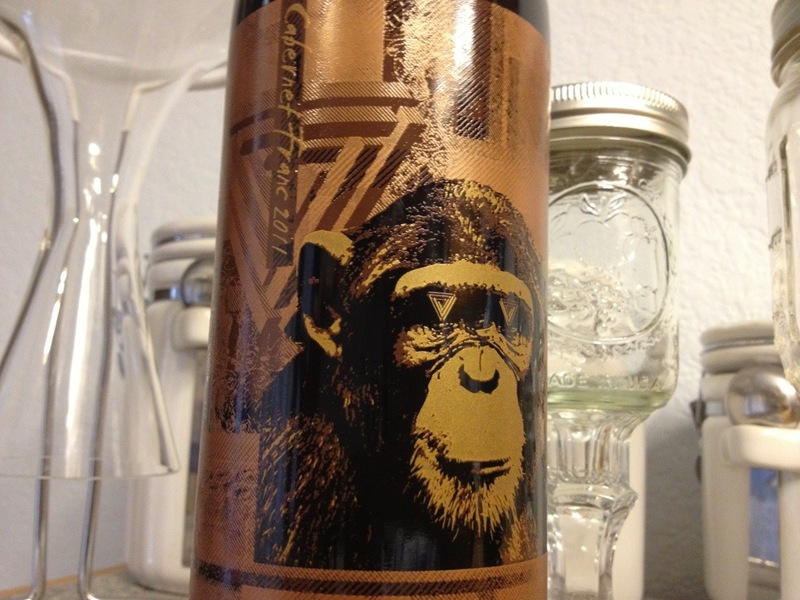 Taste: Massive blackberry and blueberry fruit, balanced out with a good acidity and herbaceous notes of black tea. Score: Yes. The Napa Valley Cab is worth it at $110, but the Twomey Merlot at $50 is a steal. 92. 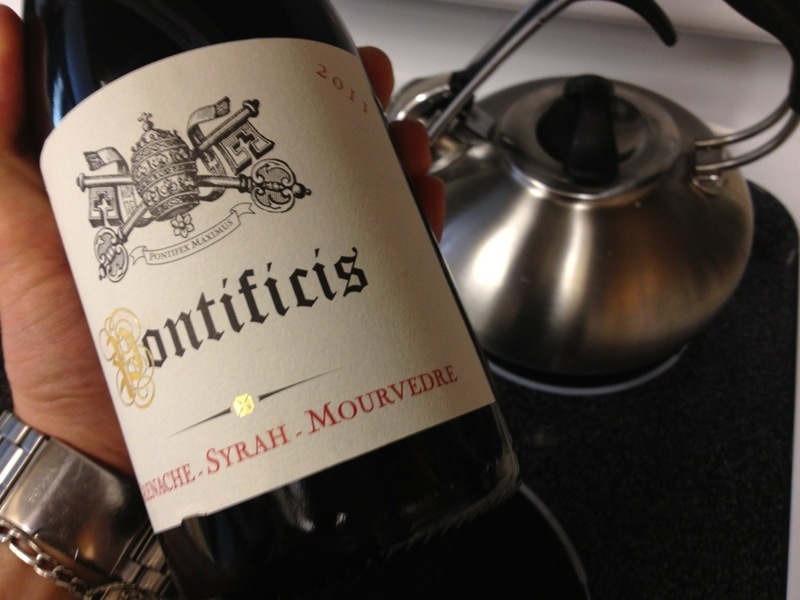 A gift from Dave TheVegetarian’s dad, Papa Don Cattivera, this wine was originally released in 2011 for $20. At the time of the tasting, it was available at CostCo for $8. I would pay $35 to get my hands on another bottle. Another Rad lineup of wines. What was the Raddest wine you tasted in 2013? Leave a comment, and tell us about it.